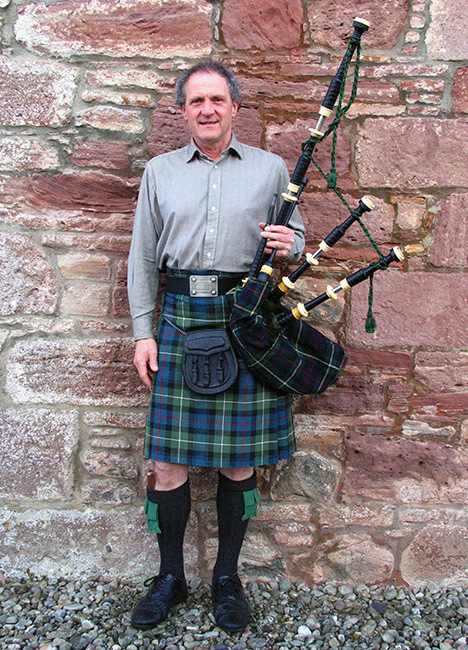 Martin plays pipes for parties, weddings and other special occasions. He can adapt a favourite tune for the pipes, provide a surprise ‘Happy Birthday’ or even wake someone up in the morning with a ‘reveille’! On request, he can compose an original pipe tune for someone and perform it live. He has hosted Burns Suppers for Chewton Glen, Cliveden, Gleneagles and the All England Tennis Club, Wimbledon.